Smart LED Concepts had the pleasure of working with The Balcony Fort Lauderdale and designing all the lights in their restaurant. 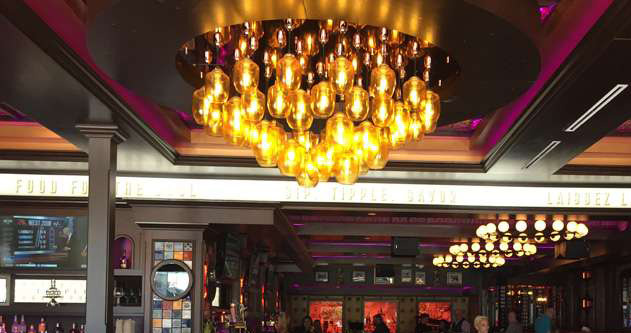 In order to give the New Orleans experience that the owners were trying to accomplish, we decided to install a Master Controller DMX Touch Panel System – Full custom programming (including 2 satellites tablets upstairs & downstairs bar to control lighting). We’ve also installed UL Listed Ultrabright LED RGB Strip throughout the whole venue to give it an even more exciting feel. Smart LED Concepts custom made the chandelier totaling 47 Shades dimmable LED Lamps at the main entrance and a custom antique brass chandelier with dimmable LED’s designed to present an antique feel. Just beyond the entrance are four coves that have each been outfitted with RGBW LED strip to accompany the standard restaurant lighting. To add some extra flair to the inside stage, there are hallow art frames to hold a plexiglass design that we provided custom backlighting solutions for. Inside the archways of the restaurant, we added RGB strips along the edges of each arch to help shed some light onto their barrel showcase. If you’re unfamiliar with RGB and RGBW lighting, they’re customizable color changing lights. 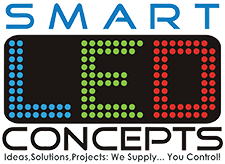 Smart LED Concepts designs and provides weatherproof variants of all our lights. 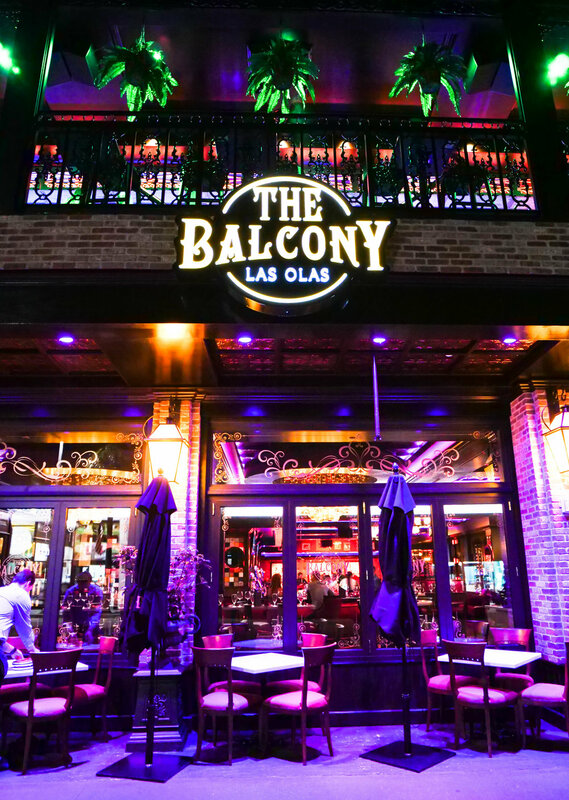 The Balcony certainly draws attention more than any other venue on Las Olas Blvd largely in part due to their exterior lighting. 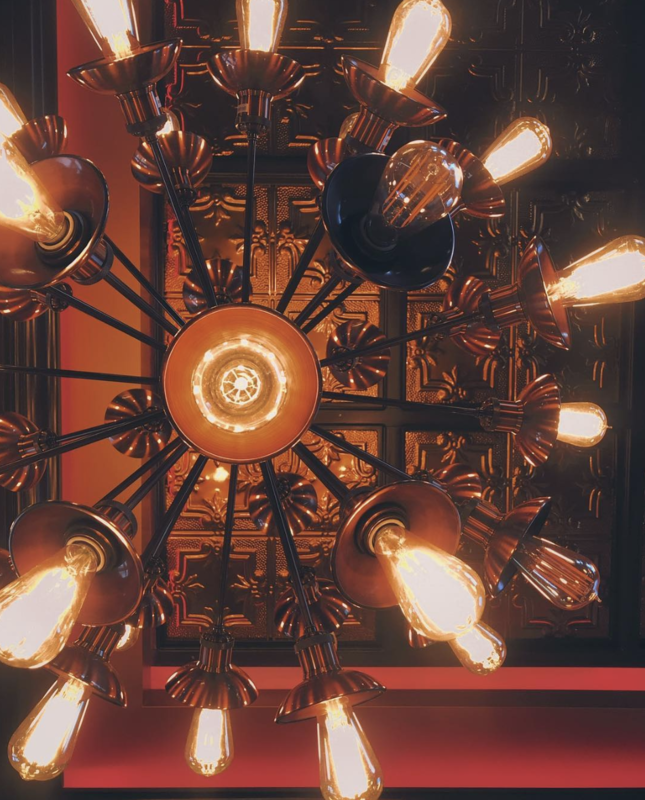 Festoon lighting hangs down on the upstairs bar with the same custom antique bulbs to create a uniform feel throughout the restaurant. We put custom fixtures into the awning system that are rotatable, so you can shine them on specific tables. The upstairs main bar has a living moss wall in which we put RGBW pucks inside to allow the venue to illuminate the wall as they see fit. 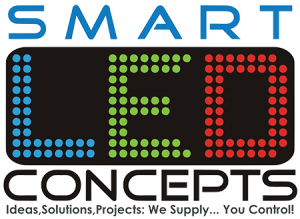 Smart LED Concepts worked alongside with contractors to create and illuminate custom signs that sit proudly at the end of each booth as well as behind the booths.